4th Annual Clinical Issues in Primary Care Conference is organized by Continuing Education Company, Inc. (CEC) and will be held from May 13 - 17, 2019 at Hyatt Residence Club Maui, Kaanapali Beach, Maui, Hawaii, United States of America. The target audience for this medical event is Family Practice, Internal Medicine, Nurse Practitioners, Physician Assistants and other Health Care Professionals. Credits: Earn a total of 35 credits with our Special CME Offer! Attend the 4th Annual Clinical Issues in Primary Care Conference (20 CME Credits) and you will receive a FREE online 15 credit CME course from CME365. Program Objectives: As a result of this conference, participants will be able to: • Assess and provide patients with an accurate diagnosis and optimal care for a broad range of disorders seen in primary care. • Utilize current guidelines in the diagnosis and management of commonly encountered therapeutic issues. • Formulate comprehensive evidence-based interventions and treatment strategies that will lead to the reduction of modifiable risk factors and improved long term outcomes. Additional details will be posted as soon as they are available. Pacific Coast Oto-Ophthalmological Society (PCOOS) 2019 Annual Meeting is organized by Pacific Coast Oto-Ophthalmological Society (PCOOS) and will be held from Jun 21 - 23, 2019 at Hyatt Regency Maui Resort and Spa, Maui, Hawaii, United States of America. This CME Conference has been approved for a maximum of 17 AMA PRA Category 1 Credits. Additional details will be posted as soon as they are available. Pediatrics in the Islands...Clinical Pearls is organized by Children's Hospital Los Angeles Medical Group (CHLAMG) and will be held from Jun 29 - Jul 05, 2019 at Sheraton Maui Resort & Spa, Maui, Hawaii, United States of America. The target audience for this medical event is Pediatricians. The conference will provide a comprehensive review of selected pediatric topics for pediatricians, family practitioners, and other health care professionals who care for infants, children and adolescents. Our outstanding faculty all nationally recognized in their respective specialty areas will present current clinical challenges and recent advances in selected pediatric sub-specialty areas. Additional details will be posted as soon as they are available. Annual OSHA Training and Compliance Seminars for Dental Professionals: Summer Hawaii 2019 Retraining Seminars is organized by Kim Laudenslager and will be held on Aug 19, 2019 at Kahili Golf Course, Maui, Hawaii, United States of America. This CE Course has been approved for a maximum of 4 CE Credits. Course Description: These seminars are designed for dental professionals who need INITIAL and/or RETRAINING. The courses will be a fast paced review of material OSHA requires for annual training. In addition, the most current information available on infection control procedures, infectious diseases and product reviews will be presented. Individuals who have not had previous training are encouraged to attend one of the initial training seminars. Handouts and resource information will be provided at the course for all participants. In addition to attending this seminar, each office will need to conduct a staff meeting sometime following the course to complete and customize their training program. Course Synopsis & Objectives: Current information on infection control procedures, infectious diseases and product reviews will be presented. Topics covered will include; CDC recommended infection control guidelines in dentistry, CDC guidelines for hand hygiene in health care settings, review of exposure incident protocol, record keeping protocol and infectious waste disposal guidelines. At the end of the course, all attendees should: • Understand the basic principles of dental infection control • Be aware of safety issues involved in dental care for both the practitioner and patient • Be able to apply current infection control principles and guidelines to everyday practice • Be knowledgeable about requirements of the OSHA Bloodborne Pathogen Standard • Be knowledgeable about requirements of the OSHA Hazard Communication Standard Additional details will be posted as soon as they are available. Western Vascular Society (WVS) 34th Annual Meeting is organized by Western Vascular Society (WVS) and would be held during Sep 27 - Oct 01, 2019, at Fairmont Kea Lani, Maui, Wailea, Hawaii, United States of America. The target audience for this medical event for Vascular Surgery. Additional details will be posted as soon as they are available. 9th Annual Primary Care Fall Conference is organized by Continuing Education Company, Inc. (CEC) and will be held from Oct 14 - 18, 2019 at Sheraton Maui Resort & Spa, Maui, Hawaii, United States of America. The target audience for this medical event is Family Practice, Internal Medicine, Nurse Practitioners, Physician Assistants and other Health Care Professionals. This CME Conference has been approved for a maximum of 20 AMA PRA Category 1 Credits. Course Objectives: As a result of this conference, participants will be able to: • Assess and provide patients with an accurate diagnosis and optimal care for a broad range of disorders seen in primary care. • Utilize current guidelines in the diagnosis and management of commonly encountered therapeutic issues. • Formulate comprehensive evidence-based interventions and treatment strategies that will lead to the reduction of modifiable risk factors and improved long term outcomes. Additional details will be posted as soon as they are available. 30th Annual Fall Conference on Hot Topics in Primary Care is organized by Symposia Medicus and will be held from Oct 16 - 19, 2019 at Maui, Hawaii, United States of America. Additional details will be posted as soon as they are available. American Pancreatic Association (APA) Annual Meeting 2019 is organized by American Pancreatic Association (APA) and will be held from Nov 06 - 09, 2019 at Grand Wailea, A Waldorf Astoria Resort, Maui, Hawaii, United States of America. The target audience for this medical event is Pancreatologists (medical pancreatologists, endoscopists, surgeons, pathologists, radiologists, oncologists and basic scientists) from all over the world to present and discuss current clinical and laboratory research related to the field. Evidence-based advances in techniques and intervention for treating pancreatic disorders are featured. Additional details will be posted as soon as they are available. 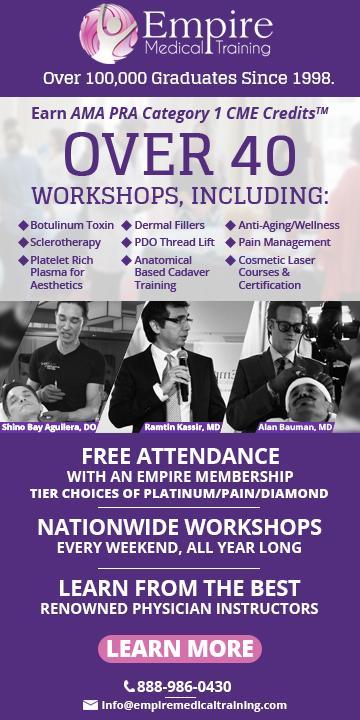 Pain, the Opiate Crisis, and the Chiropractic Alternative w/ Dan Murphy, DC is organized by Life Chiropractic College West and will be held from Nov 09 - 10, 2019 at Maui, Hawaii, United States of America. Conference Description: It is claimed that the current opiate drug crisis and its consequence are the biggest healthcare disaster in modern history. This class will define the opiate crisis and explore alternatives, including chiropractic adjusting. 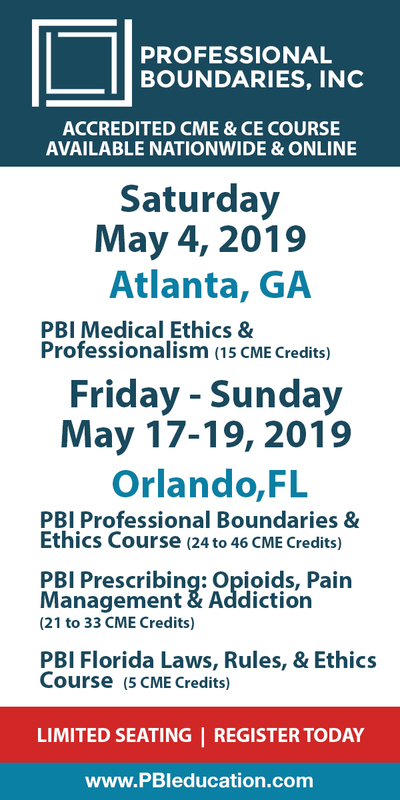 • 2 hours ethics & law • 4 hours adjusting • 6 hours general Conference Objectives: This conference is designed to put the current opiate crisis into a historical perspective, quantify its consequences on the American society, and to propose viable alternatives to opiate drugs for pain control. Class attenders will be conversant on the crisis and be able to explain why chiropractic care and its adjuncts are viable alternatives to opiate drugs for pain control. Additional details will be posted as soon as they are available. Internal Medicine for Primary Care: Endo/Gastro/Geri/Pulm is organized by Medical Education Resources (MER) and will be held from Nov 10 - 14, 2019 at Grand Wailea, A Waldorf Astoria Resort, Maui, Hawaii, United States of America. This CME Conference has been approved for a maximum of 20 Credit Hours. Additional details will be posted as soon as they are available.